How BBDO Clemenger stunned me. After a few weeks I’ve realized that there are a few agencies I need to write about. They’re spread out all over the world; but for now, let’s jump back down under. I’m also coming back to the BBDO network. But landing slightly to the west, in Australia and the Clemenger branch. Who are also the owners of Colenso. The top three ads all come from the Melbourne office. I’ll start out with the print campaign that won a golden lion this year in Cannes. This might be the best print ads ever to play on the independent-man-cliché. It starts with a simple idea and a great copy line. The execution is amazing; the casting, is perfect and the styling is even better. 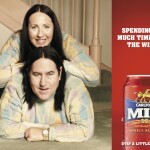 But still I wonder when we’ll see beer ads aimed at women on a large scale. It’s long since women started drinking beer, why not make some moniez? And just imagine how ground breaking the advertising could be. Let’s move on to this beautiful video. When I first watched this I knew it was for Strongbow cider. But I couldn’t for the life of me figure out why it snowed. What was so cool with people swimming around in a pool when it was snowing? And what did it have to do with cider? I got the answer the last five seconds and I felt so stupid. I had sat through the whole commercial secretly dissing it in my head, and BAM – stupidity. This campaign is one of my favorites of all time. It gives me goose bumps! It’s probably the one campaign (or ad) that I’m most pissed that I never thought of myself. The solution is so great, yet obvious. How can no one have thought of this before? Why in the world would you make charity ads for blind people that they can’t see? I can honestly say that this is pure brilliance in my eyes. Getting an idea this obvious and simple, I can just hope it’ll happen to me some day. 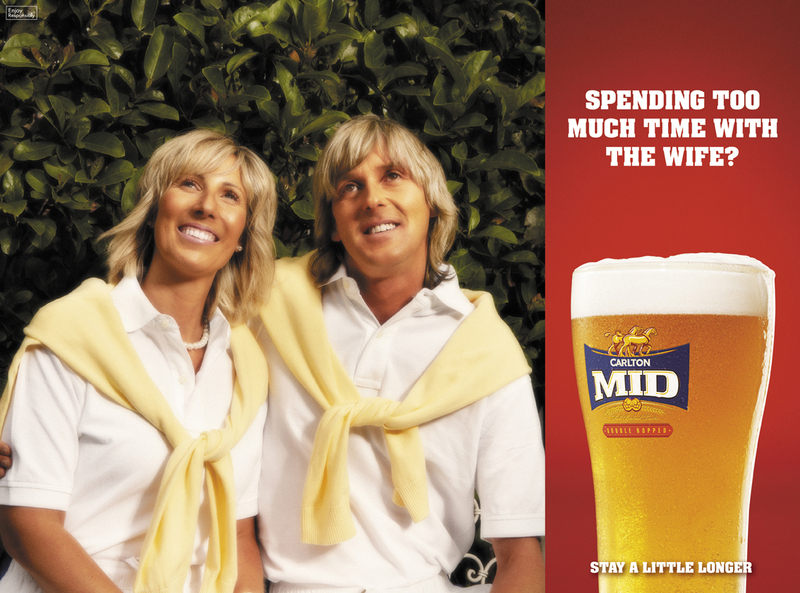 Of course, I’m not the only one loving this; it won a Titanium & Integrated Silver Lion – Cannes Lions 2010. 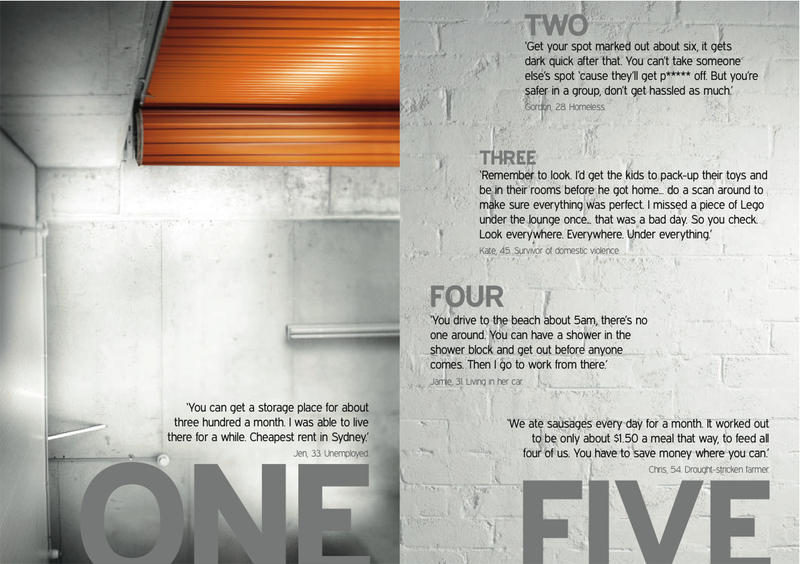 I’m finishing with this campaign; it’s from the Sydney office. Maybe campaign isn’t the right word. 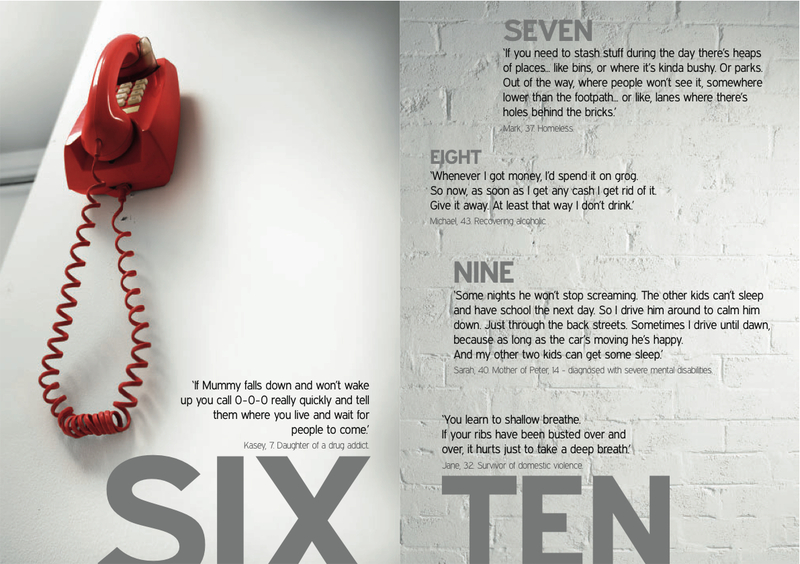 It’s a survival guide, but not for the zombie apocalypse or a snowstorm. It’s small tips to help you through domestic violence, make it more comfortable to live in the streets and how to not fall back into alcoholism. I found the pics here, hope it’s OK that I borrowed them. I like this because it hits me where it hurts. I know they have a rough time; I see the misery every day, read about it in papers and watch it on TV. But I don’t hear it first hand. And I don’t hear it from this angle. As always, doing things differently is what’ll get you noticed. 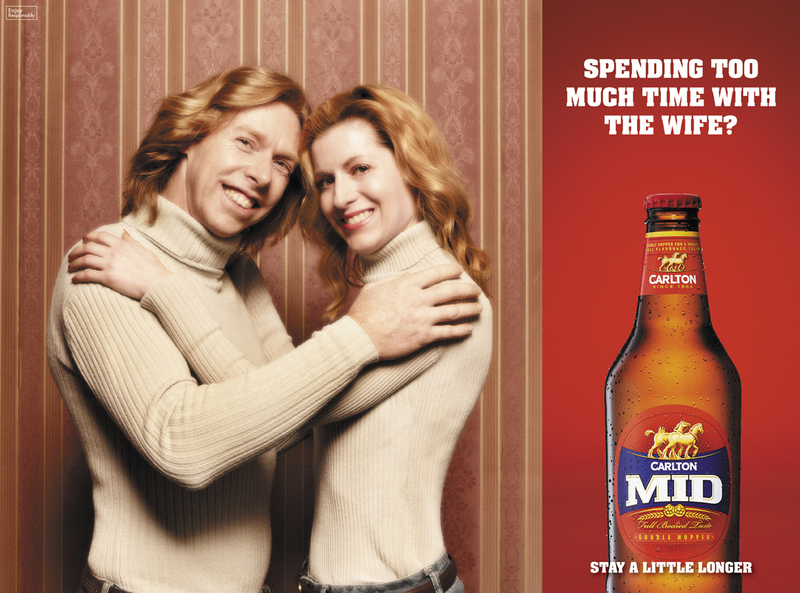 Combining that with such raw emotion, that these ads express – and you’ll people right in the heart. I recommend that you watch the TVC’s here. Last autumn all of Hyper Island sat down with CP+B. We got briefed to create world peace, if only for a day, within 72 hours. You can see the resulting ideas here. But this year an idea that easily beat all our hours won a Golden Lion. Watch it and feel it’s power. I don’t really believe the whole “you wouldn’t kill someone that has your blood in them” thing. But wow do I believe in the power of this idea. To have things in common, to save lives of people on the other side and meet each other in sorrow. I often dismiss ads for charities because it’s a lot harder to sell a brand than world peace or child starvation. But for this I can’t give anything less than three thumbs up, the idea really moved me. And then there’s this brilliant ad from Forsman & Bodenfors that only won a bronze. Dr. Pepper and others have done the what could go wrong idea before Direct TV. 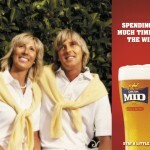 Whereas the anti drinking ad from IQ superbly masks itself as a whisky ad and slowly expands into so much more. 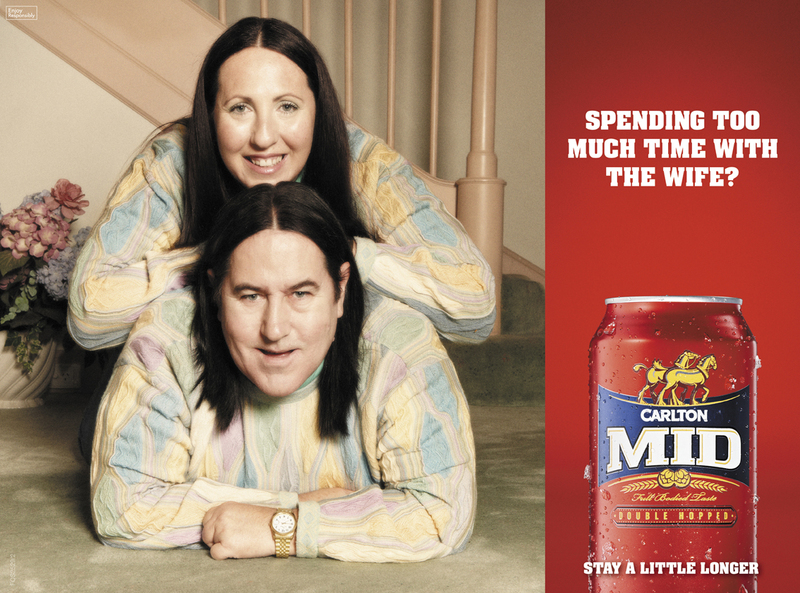 It captures the essence of fine-booze-ads and then makes us feel guilty about it, without taking it too far. I think these too should’ve switched place. There are probably more top ads that didn’t make it into the absolute top, time to dig around I guess. So a new week is upon us and I thought I’d share my feeling about some of the Cannes Film Winners. I’ve covered some of them before: Dads in briefs here and the Canal+ Bear here. So the first ad I’m going to talk about is the Wieden+Kennedy ad “Best Job” for Procter and Gamble. As always the film-job, direction and script from W+K is marvelous. The sexism isn’t. Why isn’t there a single dad in there? Dads just work and moms stay at home. Couldn’t there be ONE full time working mom and one stay at home dad that has the best job in the world? In this case I really have to say that if you’re not part of the solution you’re part of the problem. It doesn’t matter if the execution is marvelous you’re making the world a worse place by promoting stereotypes. You all know the Steve Jobs quote, read it every day and understand the meaning of it.